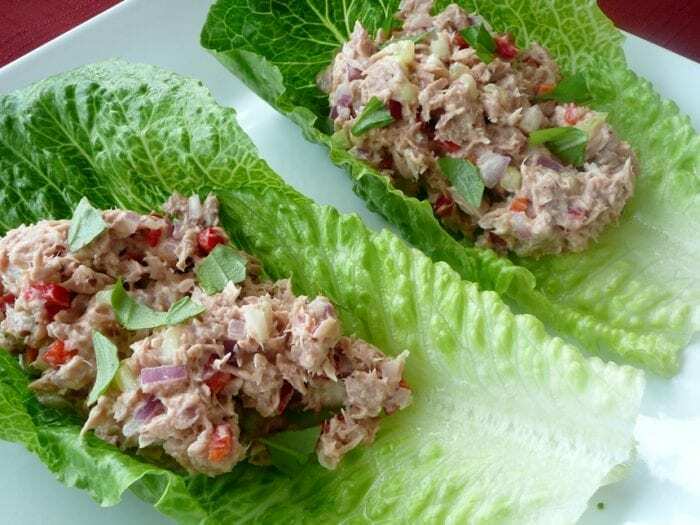 Albacore Lettuce WrapsTuna is one of those healthy items that's found in the inner aisles of the grocery store-so venture down the aisle and pick out white albacore packed in water, as larger tuna can have high amounts of mercury in them. 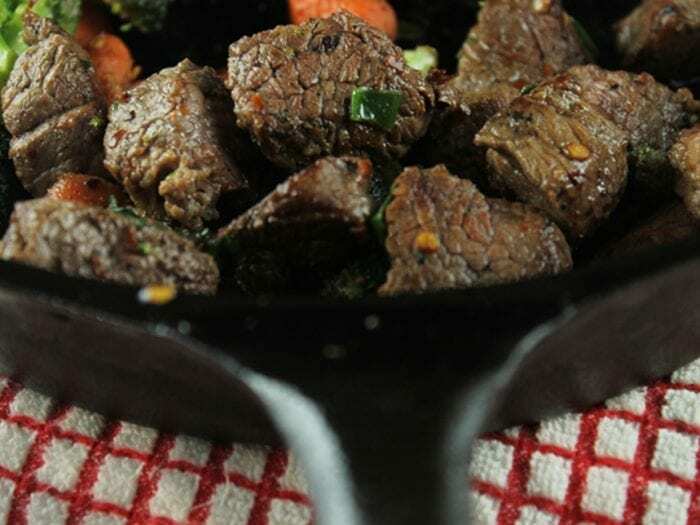 This is an ultra-healthy meal that is high in protein and low in fat. Apple Cider ColeslawFinding the right coleslaw recipe can be a challenge. However, with this vinegar coleslaw recipe, your worries are over. 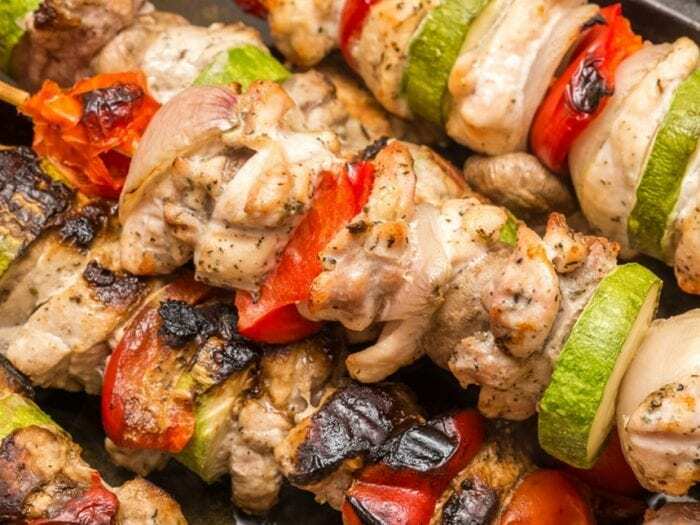 Not only does it fit perfectly in with your diet, but it also features delicious ingredients that will keep the guests at your next event wanting more! For those with an olive oil sensitivity, consider using avocado oil as a substitution. 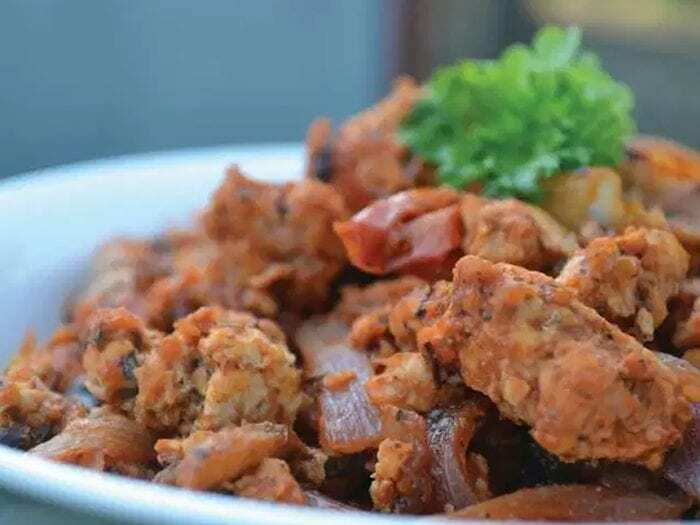 Baked Veggie and Chicken SkewersA quick and simple dinner – these delicious Baked Veggie and Chicken Skewers are filled with fiber and protein and are light, tasty, and yet very filling! Looking to transform your body? Well, eating meals like baked veggie and chicken skewers will help you achieve your goal. Go ahead and start cooking! It won’t take long at all and pack the leftovers for a fat burning, nourishing lunch. Balsamic Asparagus and Steak SaladThis hearty Steak and Asparagus Salad isn’t just tasty, it’s good for you too. Lean steak has lots of protein and asparagus is a great source of folic acid and vitamins. 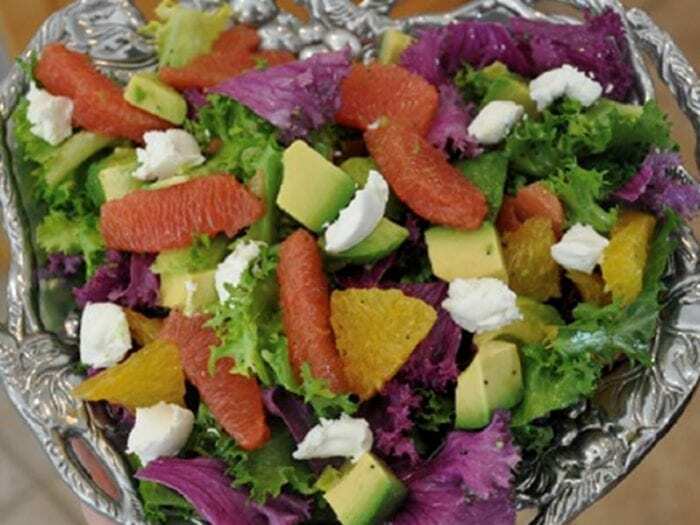 It is also a great salad if you are watching your weight because it is filling without being too high in calories. You can use as much or as little of the dressing as you like and because it contains the punchy flavours of balsamic vinegar and wholegrain Dijon mustard a little of it goes a long way. (You can use ordinary Dijon mustard if you prefer, you may just want to use a bit less.) 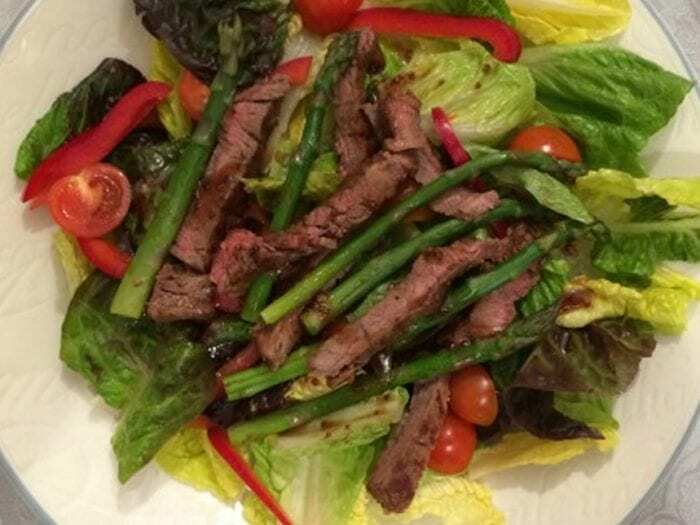 Steak and Asparagus Salad is a great way to convince your favourite carnivore that salad can be delicious, hearty and filling. It also takes just minutes to throw together. 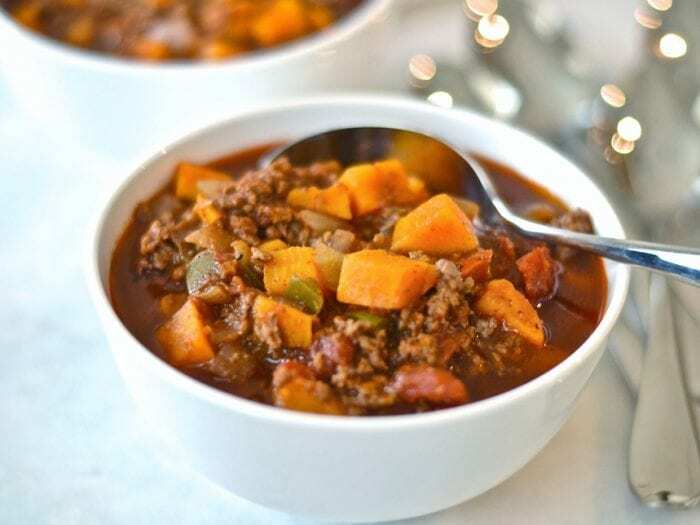 Beef And Sweet Potato ChiliIndulge yourself in a bowl of Paleo Sweet Potato Chili that is spicy and full of beef. It’s thick, rich and slightly sweet while being grain free, sugar free and dairy free. Beverly Hills Chopped SaladIt seems to me that every restaurant in Beverly Hills features a chopped salad as their most popular dish. This recipe is part Villa Blanca, part The Ivy and is fully delicious! The dressing is my absolute favorite. 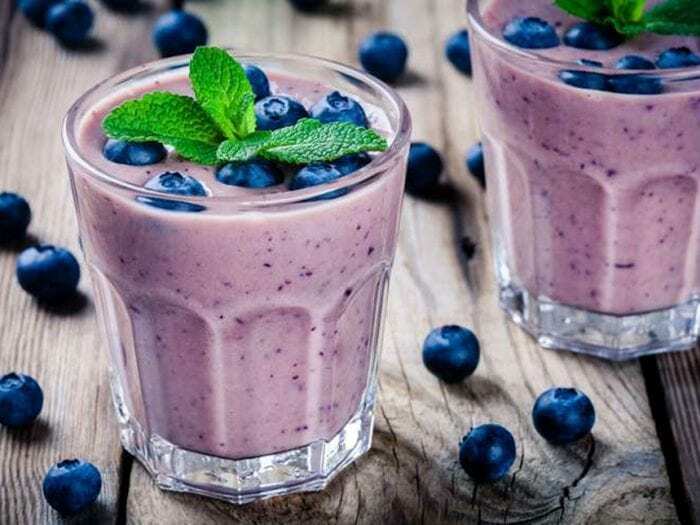 Blueberry Carrot SmoothiePlace all the ingredients in a blender and blend on high until smooth. 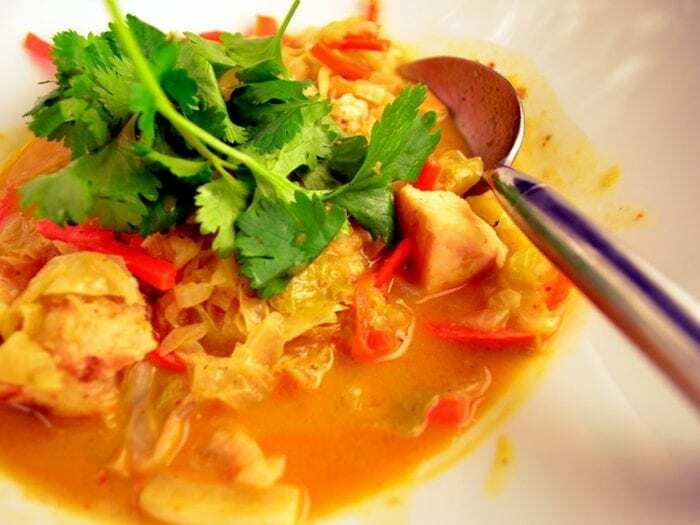 Braised Cabbage and SausageHere’s a comfortable formula for autumn and winter days. 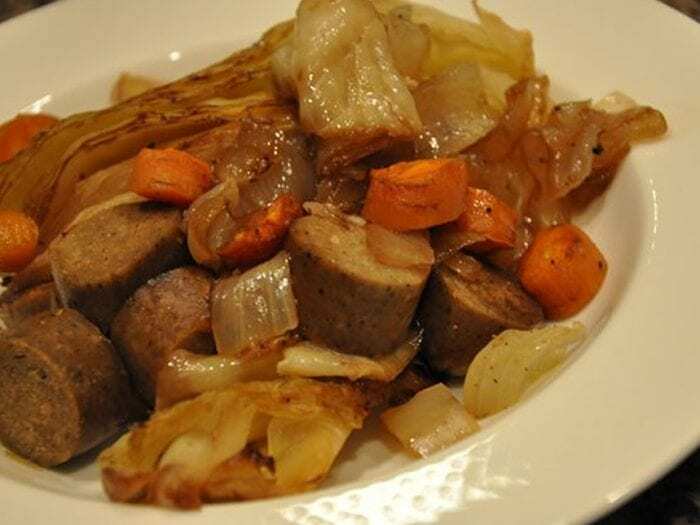 Softly braised cabbage and carrots mix consummately with chicken sausage cuts. Your home will be loaded with the yummy, soothing smell of a sound fulfilling supper. 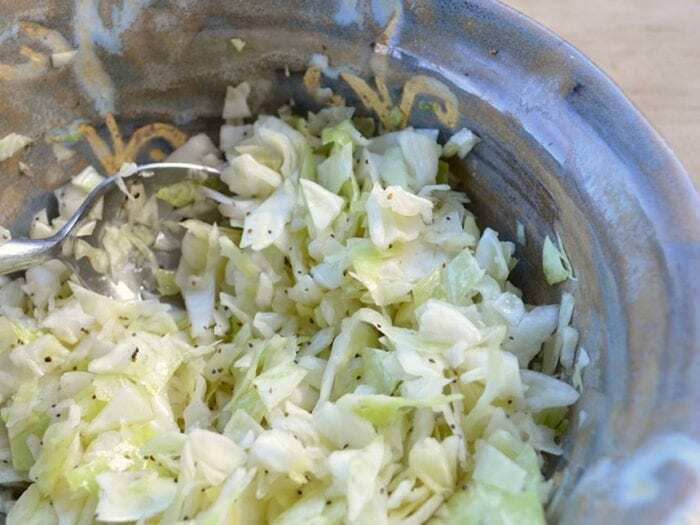 Cabbage is a fantastic wellspring of vitamin K, vitamin C and dietary fiber. It is even said to help bring down cholesterol. So dive in! 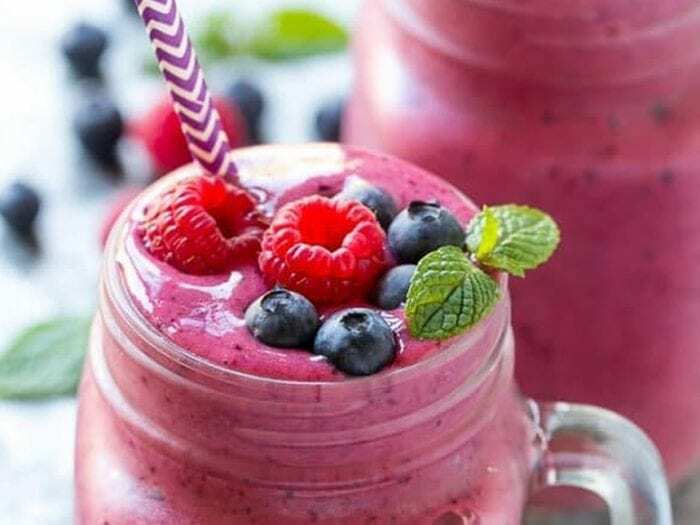 Breakfast SmoothieOn those days when you don't fancy eggs again, or your in a rush try knocking up a smoothie, like this one. You could even do it the night before and keep it in the fridge ready to go! Breakfast Stir-fryPacked with protein and a healthy dose of vegetables, this will start your day off on the right foot. We’ve called it the breakfast stir-fry but in fact, this makes for an awesome meal or snack at any time of the day. 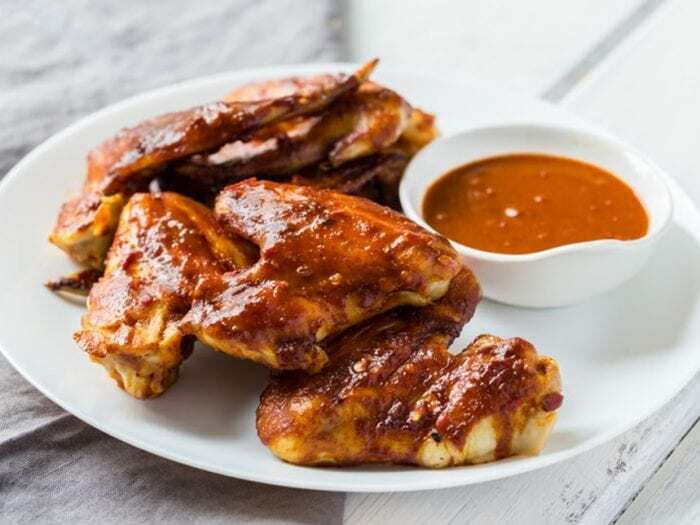 Buffalo Chicken Wings In “Peanut Sauce”This simple recipe is a nice Paleo version of Southeast Asian-style spicy peanut chicken dishes, using coconut aminos and almond butter in place of the traditional soy sauce and peanut butter. These chicken wings make tasty leftovers as well. Butternut Squash SoupThis is one of my favorites. I make it all the time because it’s delicious, but also because it’s so easy to prepare. 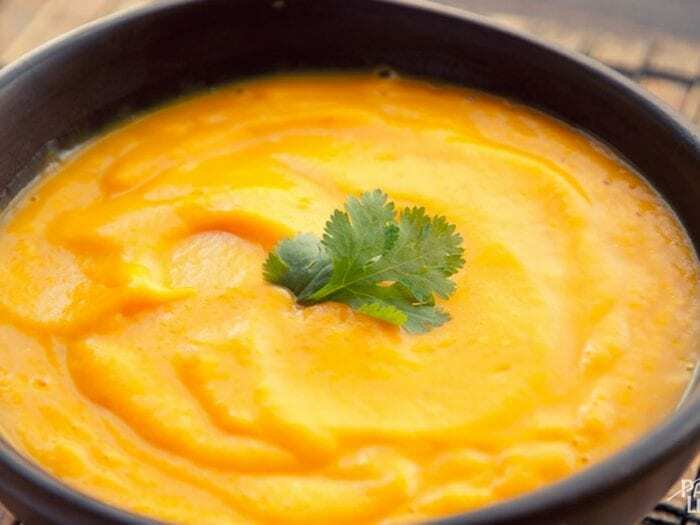 You probably have had butternut squash soup in the past, but this one, adapted to the Paleo lifestyle, is particularly interesting with its coconut milk base. 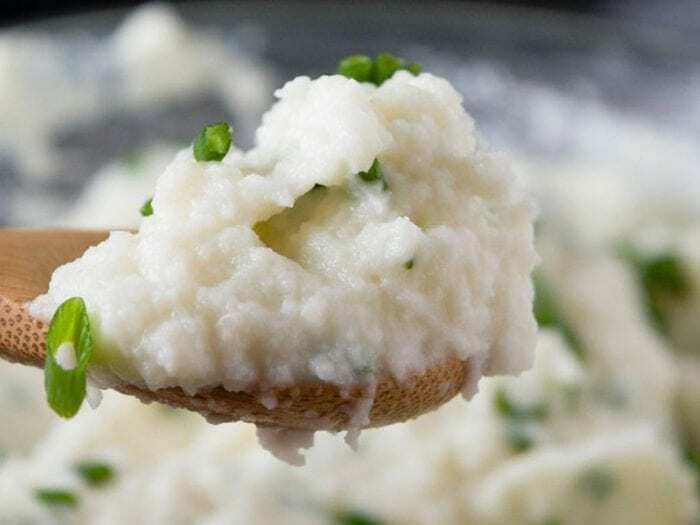 It makes for a very rich and satisfying pureed soup. It’s so filling that it can be taken as a meal on its own. Winter squashes like butternut squash or spaghetti squash usually keep for a long time, so you can buy them in advance and use them when you don’t know what to make for dinner. 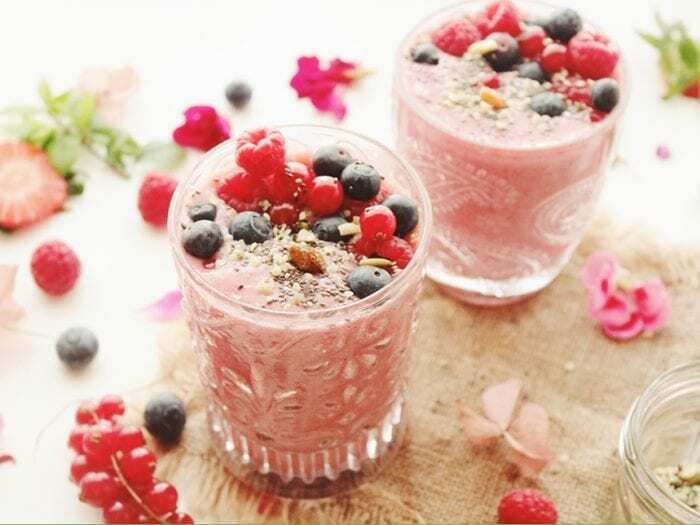 Cashew Strawberry Cream SmoothiePlace the cashews with water in a blender along with the ice cubes, strawberries, vanilla and dates and blend until smooth. Chicken Waldorf SaladWhat makes it Waldorf? 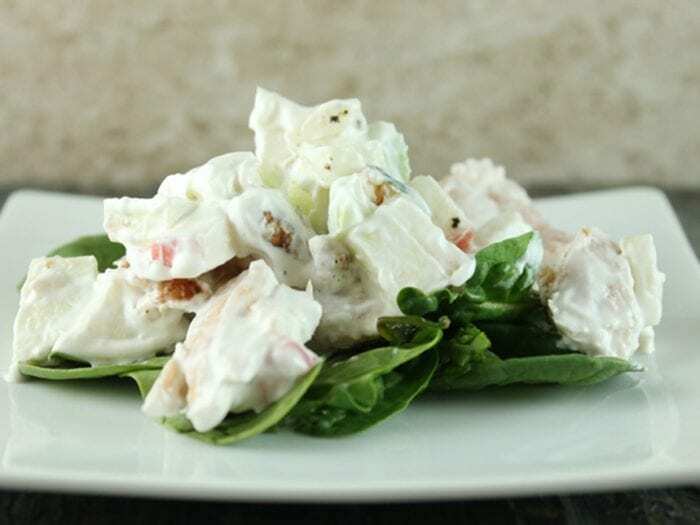 Crisp apples, sweet grapes, hearty celery, and crunchy walnuts, bathed in a mayonnaise! 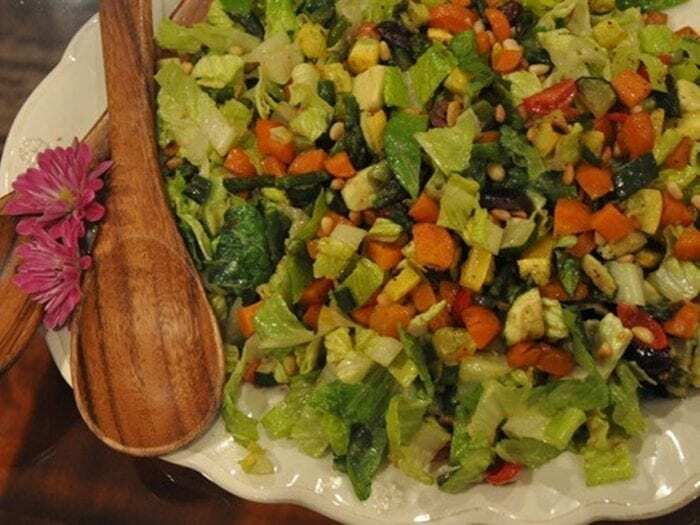 This classic salad is both sweet and savory and comes with the bonus of being packed with nutrition. It’s best served shortly after being prepared. Coconut Flour PancakesPancakes can be such a great breakfast treat. And, it’s great that you don’t have to give them up on a low carb diet. 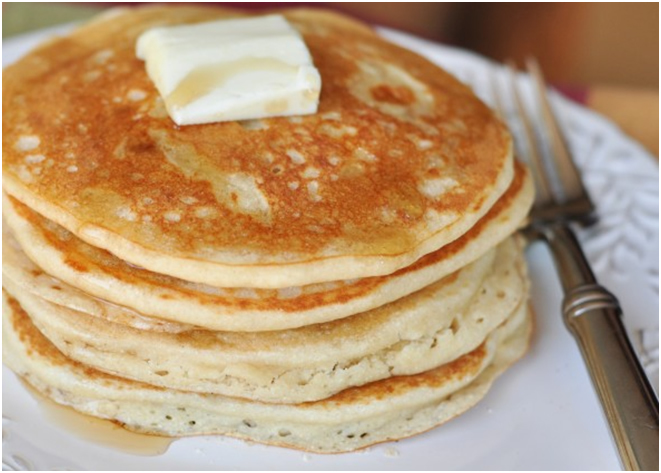 These pancakes use coconut flour, but you can also try almond flour pancakes recipe. If you decided to try a low carb pancakes recipe using coconut flour. There are a lot of people with nut allergies who can’t have almonds. Flour made from defatted coconut is a terrific option for those who need a nut-free recipe. These gluten free low carb coconut flour pancakes turned out lighter than the almond flour ones. And, they don’t have the nutty flavor of the almonds. 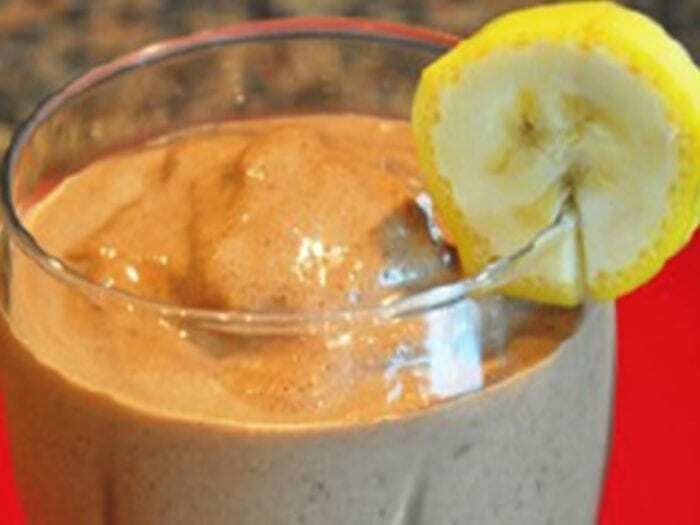 Creamy Chocolate ShakeThis Creamy Chocolate Shake is so rich, creamy and simply delicious. Good news: It's made with 8 simple ingredients. Curried Fish And VegetablesThis curry is a rich, satisfying dish that looks impressive on the plate and also reheats well the next day. If you prefer, you can add other vegetables to your taste, including mushrooms, onions, asparagus, or peppers. Chicken can also be used instead of the fish. Serve the curry over cauliflower rice. Dijon Almond Crusted SalmonCraving a delicious paleo salmon dish? 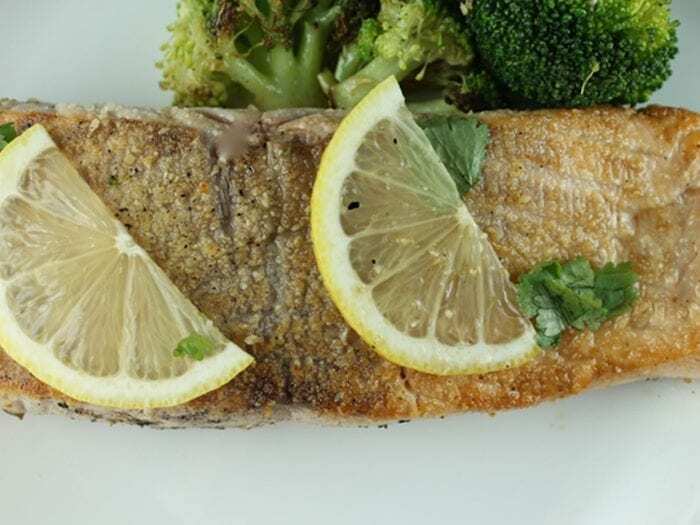 Try this easy paleo salmon recipe, which features this healthy fish variety broiled in almond flour seasoned with coriander and cumin. You can use tilapia or other fish in place of the salmon. 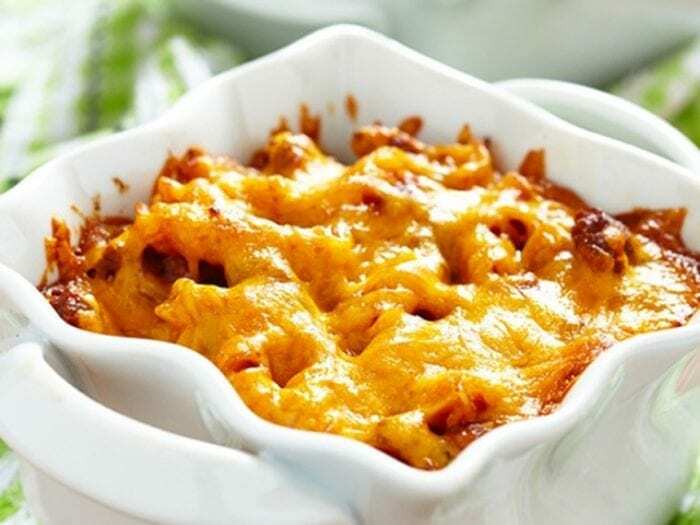 A side dish of baked vegetables makes the perfect complement. 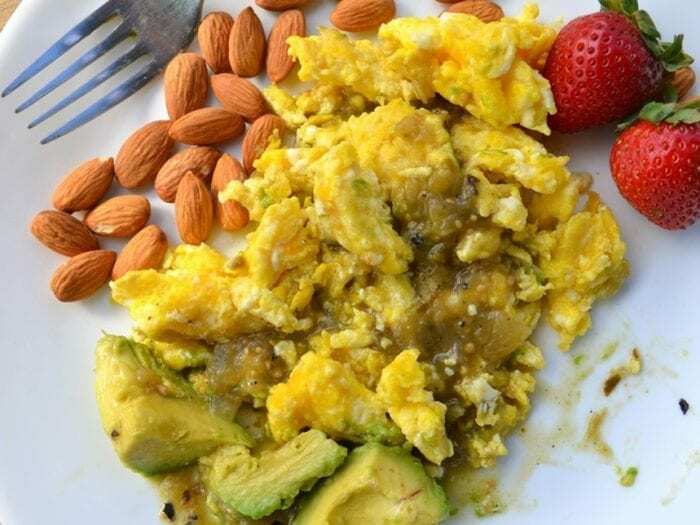 Eggs With Avocado And SalsaThis super-simple paleo breakfast recipe combines fluffy scrambled eggs with avocado slices and salsa. Almonds are added as a crunchy and unusual topping for extra protein. To make this dish more substantial, try serving it with salmon or bacon, or alongside some fresh fruit if you’d like a lighter meal. 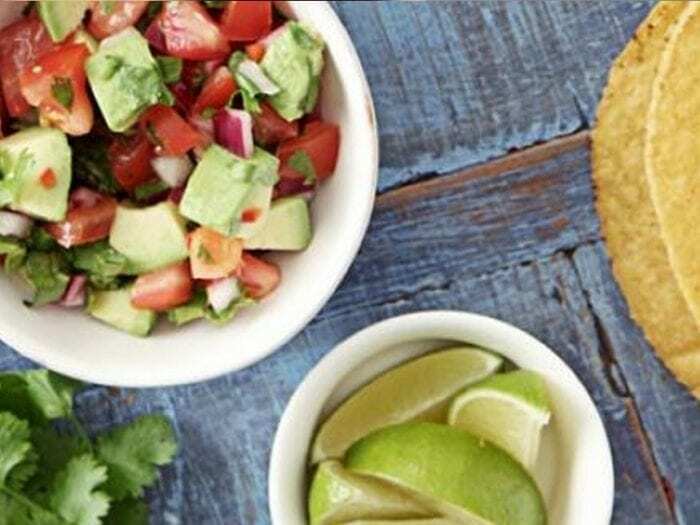 Fish TacosThis wild cod fillets with lime and avocado recipe is as health as it is light. 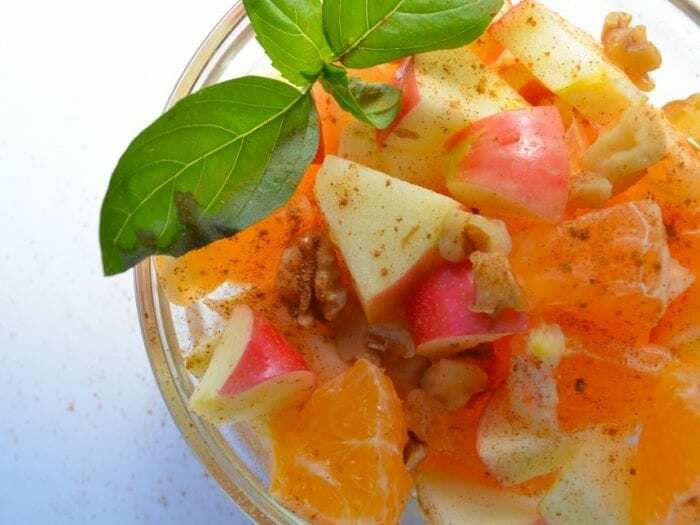 Fruit Salad with CinnamonThis is a very easy fruit salad with diced apples and oranges, chopped nuts and cinnamon. You can use any fruit and nuts you desire but the combination we’ve used here goes particularly well with aromatic, good-for-you cinnamon! That’s right – cinnamon has been shown to have health benefits including improved glucose tolerance. Have your Fruit Salad with Cinnamon for a snack or make it a side dish to any main meal. Lemon juice, a bit of honey, full-fat coconut milk, or dried fruit can also be added to taste. Feel free to use any kinds of apples that you desire. 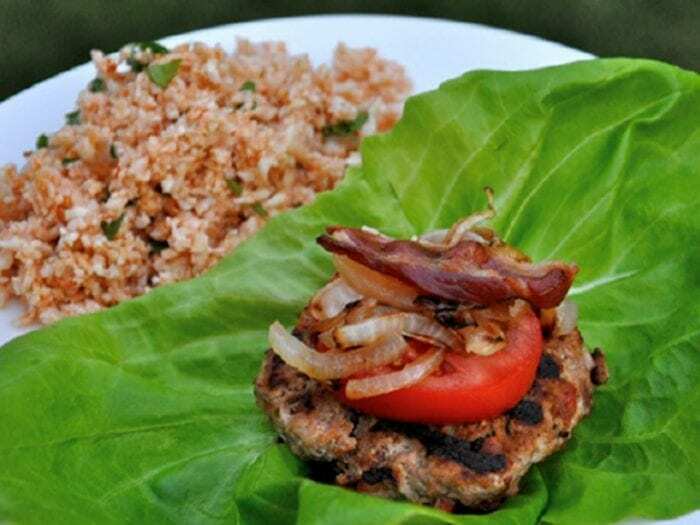 Fully Loaded-Lettuce Wrapped Turkey Bacon BurgersWhen it comes to quick, guilt-free dinners it doesn’t get better than this. These Fully Loaded-Lettuce Wrapped-Turkey Bacon Burgers only take about 35 minutes to prepare, and taste like a naughty, cheat meal. Once I got into the habit of ditching the bun from my burger and instead using large lettuce leaves, I don’t even miss it. Try it and I’m sure you’ll see that it’s a pretty painless way to cut the carbs, grain and gluten from your life. I use a head of Living Butter Lettuce. It has wonderful sized leaves and it stays fresh since it’s packed with the roots still intact. Pretty awesome. 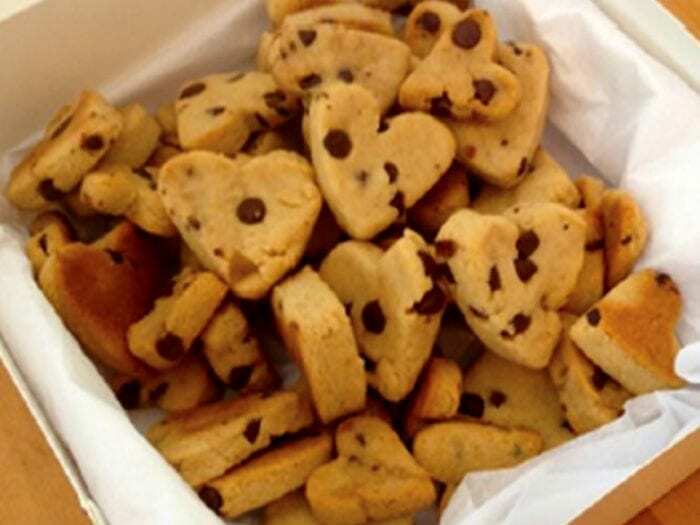 Grain Free Chocolate Chip CookiesSo good even your kids will love them! Grapefruit, Goat Cheese & Avocado SaladIt’s not the kind of salad you would eat as a full meal, but it would be a great compliment to fish. 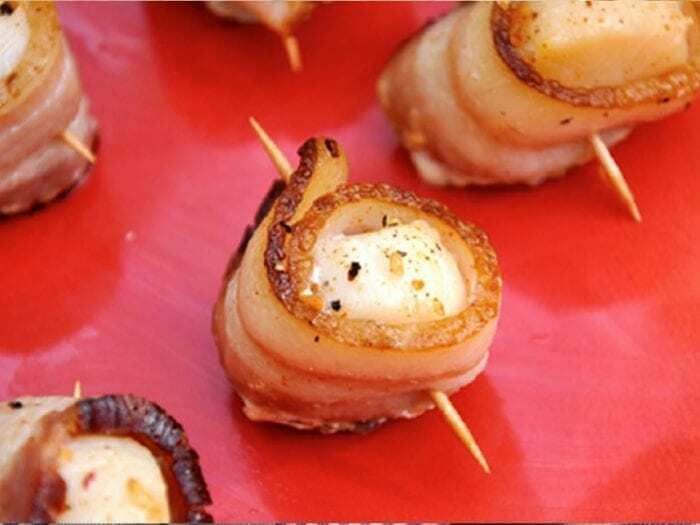 Particularly grilled shrimp or other kinds of shellfish. Other kinds of cheese would be too overpowering–the goat cheese is perfect. It’s creamy without a strong flavor or saltiness–like feta, for example. Grilled Shrimp And Veggies On A StickAre you looking for your next go-to barbecue dish? 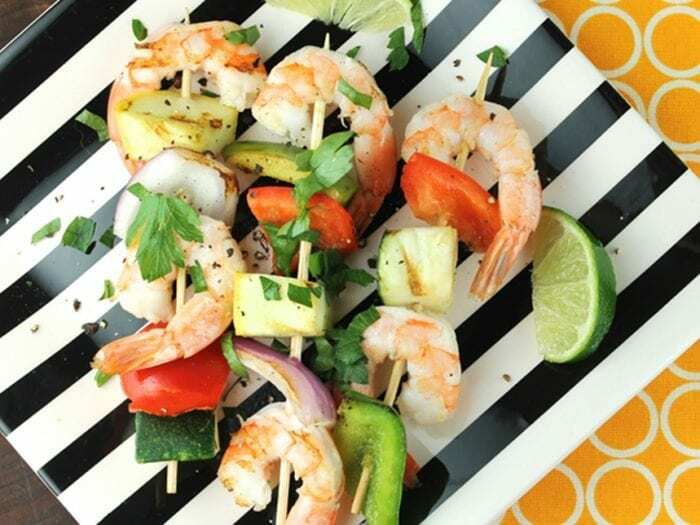 This shrimp and veggies on a stick recipe is sure to please—especially for those who love kabobs. 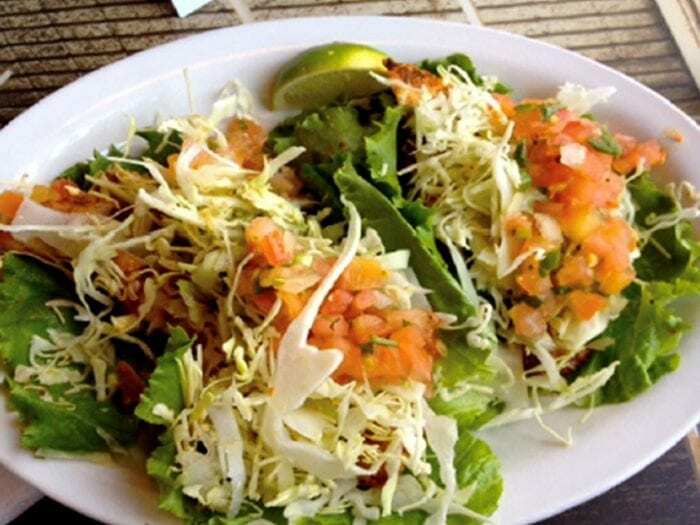 In addition to being incredibly healthy, it’s a delicious meal for those favoring seafood in their mealtime rotations.